This is the first time the race has been staged as early as May since 1995 when it was brought forward to avoid clashing with the Rugby World Cup hosted by South Africa in June 1995. 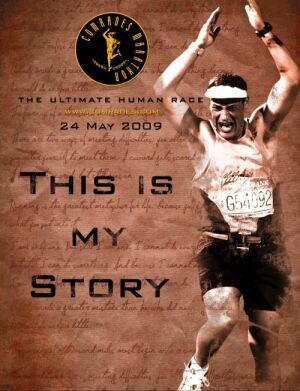 Similarly the 2009 and 2010 Comrades Marathons have been brought forward to avoid clashing with the FIFA Confederations Cup (14 – 29 June 2009) and the FIFA World Cup (11 June – 11 July 2010) respectively. With the race being staged three weeks earlier than usual, the Closing Date for Entries also had to be brought forward to 31 March 2009, thus falling ahead of several popular and traditional qualifying races. To accommodate this CMA implemented a special dispensation whereby prospective entrants must submit their entries by 31 March, but may still qualify in official qualifying races up until a final cut-off for qualifying on 28 April. Race Director Renee Jordaan expressed cautious optimism regarding the field of entries for 2009 as there is potentially more at stake than just this year’s race. “Looking ahead to 2010 which coincides with the 85th running of the Comrades Marathon, CMA decided to cap the number of entries at 20,000 for 2010 and made a commitment to reserve the first 15,000 entries for previous Comrades finishers.” She urged runners to avoid possible double disappointment by meeting this year’s entry deadline. “So far indications from attendance at our Comrades Marathon Worshops, as well as the increased fields participating in shorter races throughout South Africa, are that we should attract a large field this year. However, it’s always a bit of a waiting game with the majority of runners entering during the final few days before closing, after which we have six weeks to process entries and finalise logistical requirements for the race”, said Jordaan. “In the meantime, groundwork for the staging of a memorable event is proceeding well according to schedule with an experienced and dedicated organising committee working to slightly tighter deadlines than usual,” said Boshoff. On a historical note, 24 May is a significant date in the annals of Comrades Marathon history in that the first 26 races from 1921 – 1951 were run on what was then a public holiday (Empire Day) on 24 May. No races were run during the war years 1941 – 1945.